Suffering from Sleep Apnea in Grande Prairie? Sleep apnea is among the most widely diagnosed sleep disorders with approximately 18 million Americans suffering from the condition. This accounts for nearly one in every fifteen people in the United States. The sleep disorder causes serious interruptions in proper sleep but is easily treatable. Unfortunately, many do not seek treatment for sleep apnea because they only feel quality of sleep is impacted. However, the truth of the matter is that untreated sleep apnea can lead to potentially deadly health complications. As your dentist in Grande Prairie, AB for sleep apnea treatment, we have the facts you need to know about sleep apnea. Sleep apnea is a sleep disorder that causes pauses in breathing frequently throughout the night. The most common form of sleep apnea is due to an obstruction in the airway. This obstruction causes the airway to narrow, leading to pauses in breathing. These pauses in breathing can occur hundreds of times per night with each event potentially lasting longer than a minute. While many tend to believe the only complications of the disorder are poor sleep quality and chronic snoring, the effects of sleep apnea are actually quite serious. WHY DO I NEED TO TREAT SLEEP APNEA? Sleep apnea does not just affect your sleep quality. The lack of adequate oxygen takes a toll on your body when left untreated. Over time, your risk for developing serious cardiovascular complications increases. In fact, there is clear evidence that sleep apnea can lead to high blood pressure, stroke, heart failure, irregular heartbeats, and even heart attack. The heart is not the only area to be affected by the disorder. Those with untreated sleep apnea are at a higher risk for developing diabetes, headaches, depression, and worsening ADHD symptoms. When left untreated, poor sleep quality will also lead to sleep deprivation. As sleep deprivation set is, mood instabilities occur, as well as decreased cognitive abilities, which increases the risk for workplace and vehicle accidents. Overall, the lack of sleep produces serious implications on overall health and quality of life. After undergoing a sleep study to properly diagnose the sleep disorder, you can easily find treatment for sleep apnea in Grande Prairie. 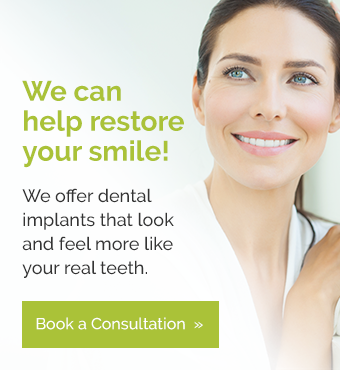 Access Dental offers a number of options to treat the condition to protect your health and quality of life. The most common and preferred form of treatment involves the use of an oral appliance. An oral appliance is similar to a mouth guard, which is worn at night. The device re-positions the jaw forward to keep the airways open. Among the most recommended oral appliance is the Dorsal Appliance, which offers flexibility while remaining effective for re-positioning the jaw. If you are suffering from decreased sleep quality and snoring chronically, you may have sleep apnea. You need a consultation for a sleep study to determine if sleep apnea is the cause of your symptoms. With the right care, you will regain control of your life to sleep soundly.